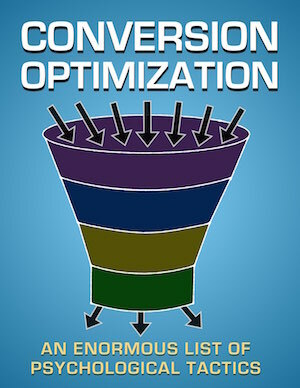 Welcome to a huge resource on conversion optimization. Over the years, marketers have written countless articles about online persuasion. So why do we need another one? Why are contrasting buttons effective? Why should you use 1st person CTA wording? Why (and when) are trust symbols effective? This article uses academic research to answer those questions. You’ll learn the psychological explanation to 30 powerful techniques in conversion rate optimization (CRO).